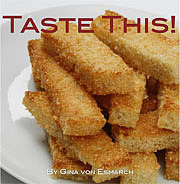 Published on April 5, 2011 in Recipes. 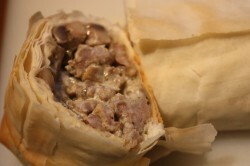 1 Comment Tags: appetizer, mushroom sausage strudel, Phyllo Dough. In light of life’s adversity, I’ve been on a constant quest to be comforted. Like many in my family, any attempt to comfort oneself tends to manifest in preparing food and then consuming it. The greater the stress, the more delectables on hand. 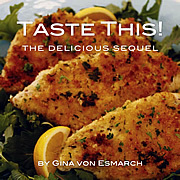 This was an easy recipe to pull together and I can envision it served as an appetizer, lunch or dinner dish. 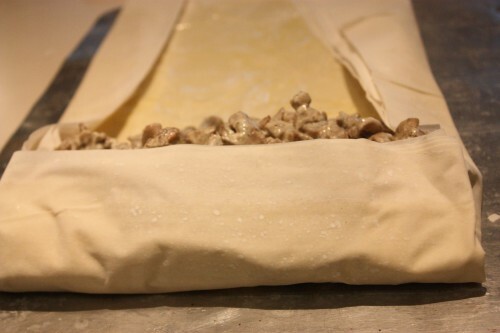 Better yet, this hearty strudel can be made ahead and frozen to quickly prepare for that on the spot company that ‘just dropped by’ for a quick visit. In a medium-size skillet, sauté sausage over medium-high heat. Break up sausage with a fork until cooked and crumbled. 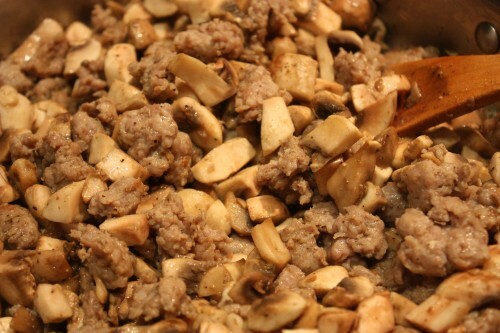 Add mushrooms and thyme and sauté over high heat until all of the liquid has evaporated and mushrooms begin to brown. Set aside and cool. 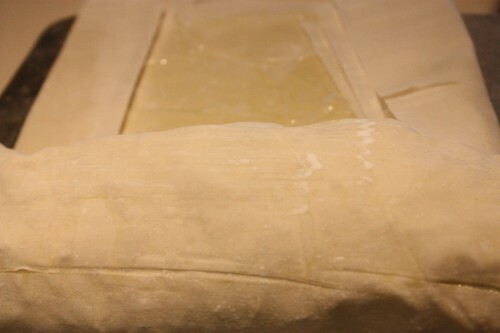 Remove 4 sheets of phyllo and place on a wax paper or other clean flat surface. 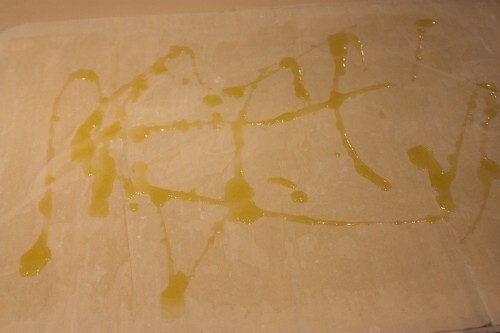 Using a pastry brush, coat each individual sheet of dough with olive oil. 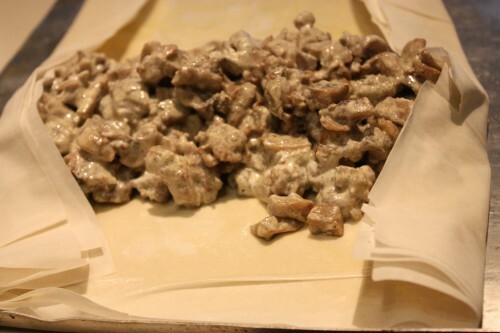 Once all 4 sheets are oiled and layered upon one another, mix sour cream and Dijon into the sausage and meat mixture. 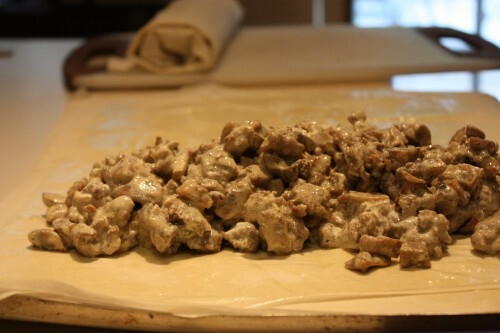 Leaving a 2-inch boarder, spoon half of he filling in a log shape along one long end of the phyllo dough. 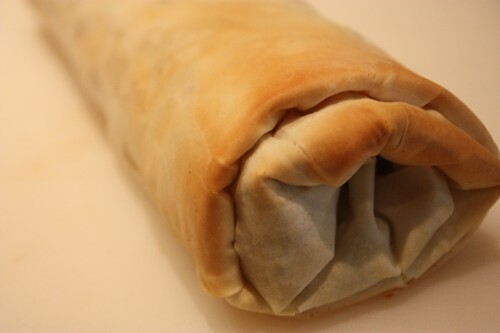 Fold phyllo over the filling, tuck in the ends and roll up. Brush the top of the log with olive oil. 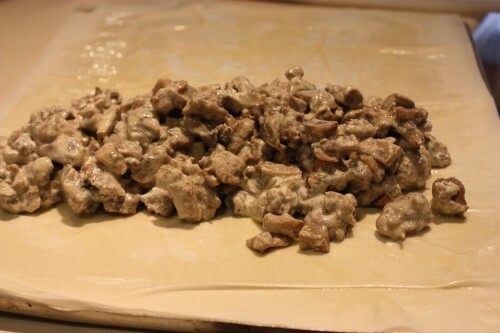 Repeat with 4 more sheets of phyllo dough and remaining filling. Again, brush top of log with olive oil. 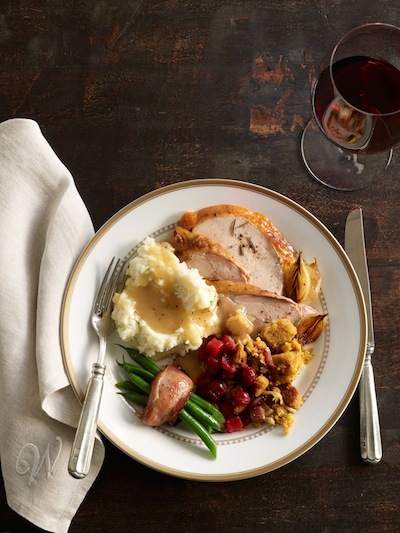 If not baking immediately, wrap in foil, strudles may be refrigerated overnight or frozen up to two weeks. Thaw in refrigerator or at room temperature. Oven rack should be positioned in the upper third of the oven. Preheat oven to 350 degrees. On greased baking sheet, place strudles seam side down approximately 2-inches apart. Slice into 1 1/2-inch pieces cutting only halfway to the bottom, if serving as appetizers, otherwise cut into 2 1/2 inch pieces once fully baked. Bake 25-30 minutes or until golden brown. To serve, cut through slices.